Tiling can be a scary endeavour. It is also one area of interior design that has undergone some very interesting changes in recent years. 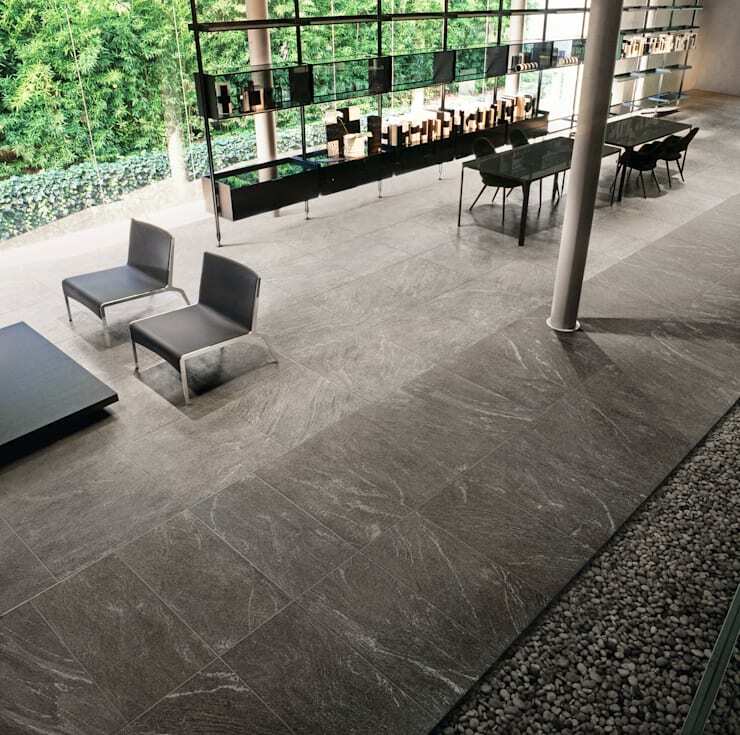 It is now possible to explore a wider range of tiling designs than ever before, so it’s no longer necessary to have the same old boring tiles as your neighbours. Herringbone tiles, modular, checkerboard, windmill and basket-weave designs are all quite accessible to the average consumer now. Each comes with a certain history that will have a powerful, if subtle effect on your home. 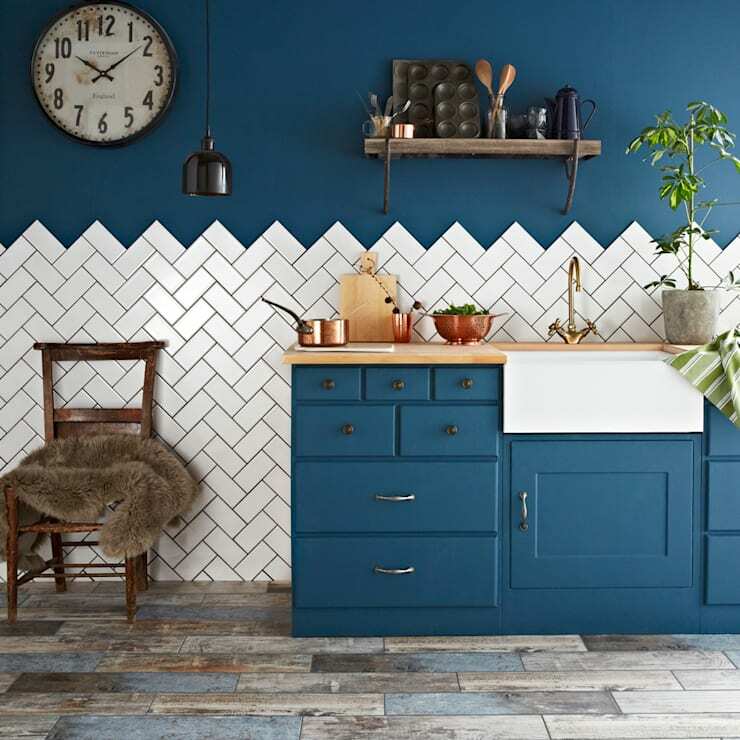 At the same time, interior designers and decorators are playing around with new ways of laying out classic tile designs so there are lots of unique twists to explore too. So today, we have whittled the possibilities down somewhat to present 15 of the best tiling designs we’ve seen. We bet there’s something here you love! 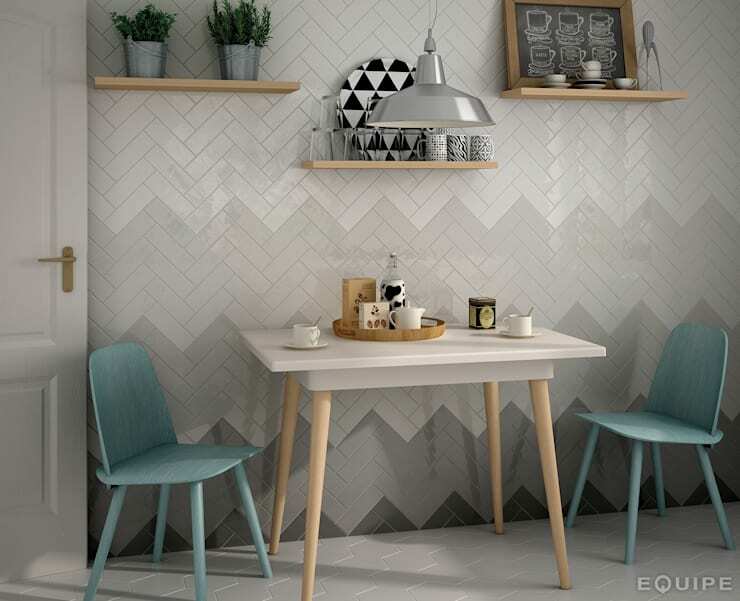 Herringbone was once only seen in old aristocratic homes. It fell out of favour for a long time but it's come back with a vengeance. We love the gentle gradation of colour in this design. This bathroom has two types of soft brown tiles. The combination of tiles works because both tiles have a similar hue with the same level of saturation. It always helps to pay attention to the differing grout lines when combining two different types of tile so it doesn't look too messy though. Nordic-style geometrics are very popular at the moment. The energy of the look is tempered somewhat by the use of a monochrome colour scheme. This one even looks like a visual illusion. 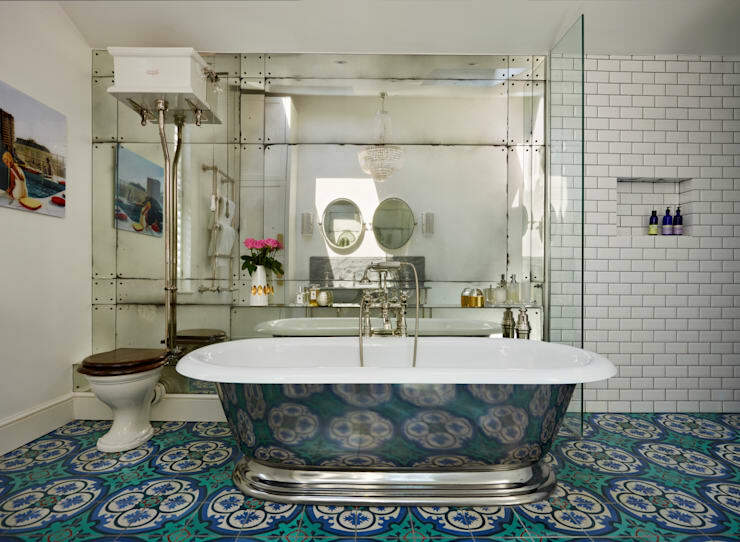 Big bold floor tiles certainly add a big bang to this bathroom. A big floral design can be quite powerful on the floor so it really helps to lay out a few sample tiles and live with them for a while before making a final decision. But when it works… wow! 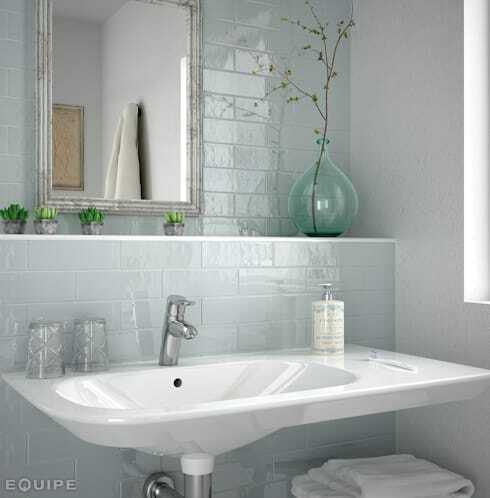 Subway tiles are incredibly popular and are generally laid like this. These ones have a gorgeous soft green-blue hue that works perfectly with the silver picture frame. This gorgeous floor is made from natural stone tiles that have been lightly polished and teamed with a corridor of black stones. It's naturally luxurious and looks soft to walk on. Dark tiles are not commonly associated with Scandinavian-style geometrics. The tiles on this black wall have a very luxurious feel because of the subtle combination of hues. Most people default to using a white grout between the tiles. But a black grout can look stunning against white tiles. The best part about this kind of tile design is that every stain and mark won't show up either. 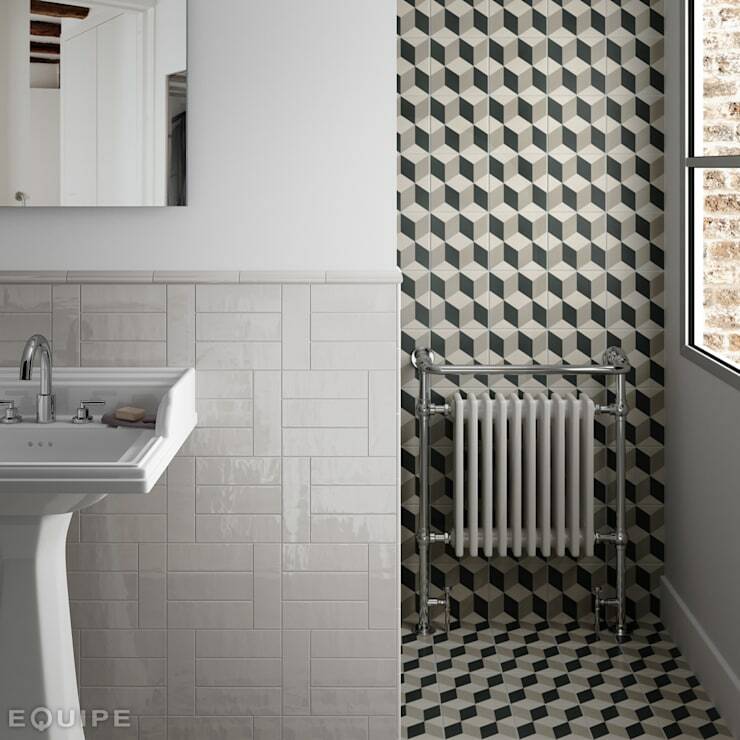 Tile designs don't need to be boring or straightforward. A scattered design like this can make a small room feel quite large and abundant. It's also totally cool. We love the wooden tiles here. 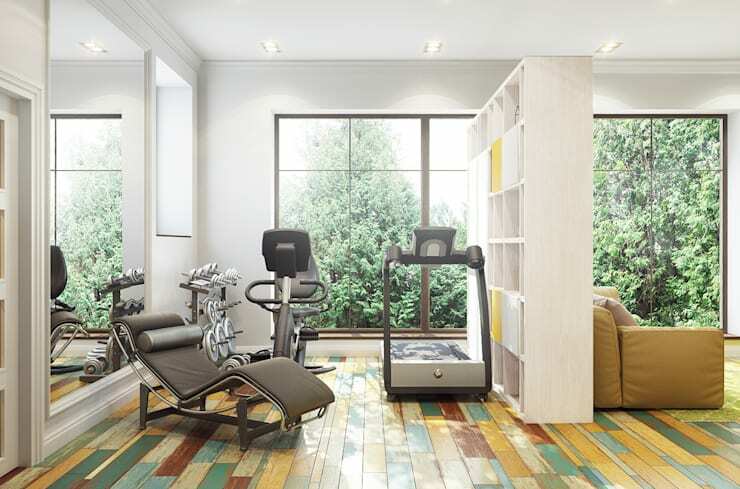 The multicoloured tones adds a sort of eclectic, rustic look to the home. It's quite visually powerful, so it's good teamed with a minimalist interior. These kitchen floor tiles have a very earthy, richly textured look. It adds a huge amount of warmth to the kitchen without really adding a lot of visual weight. Note how the rustic reds tie in with the dark cupboard doors too. 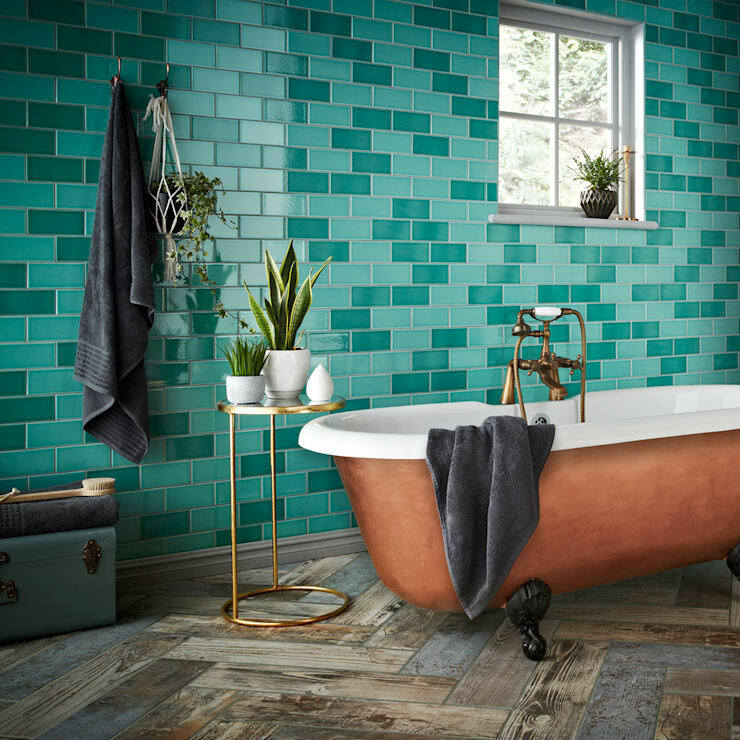 The two toned teal tiles in this bathroom certainly have a visual punch. Note how they run all the way to the ceiling line too. It is rare to see a herringbone wall tile end halfway up the wall. To double the effect it's teamed with a teal blue wall. We love it! Any bathroom designer will tell you that the transparent walls of a shower room will generally throw the wall design into focus. 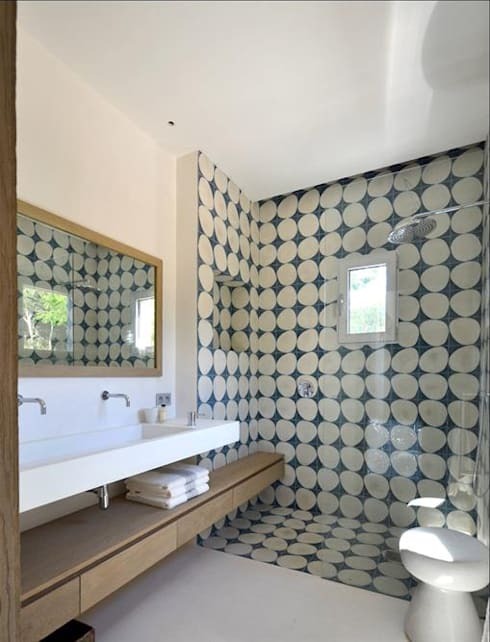 This is where a bold bathroom tile design can really work. 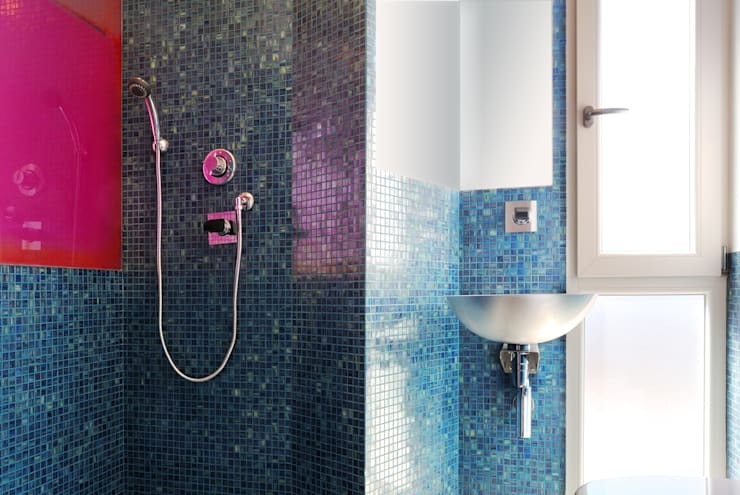 It visually defines the boundaries of the shower and adds a huge amount of interest to the room. It can be tricky to tile a room with lots of odd angles. But this is where a very small tile can come in handy. It will handle the angles with ease and will give the room a unified look. Let's check out some easy home decorating ideas now with 10 little touches that will impress your guests. Which of these tile designs caught your eye?